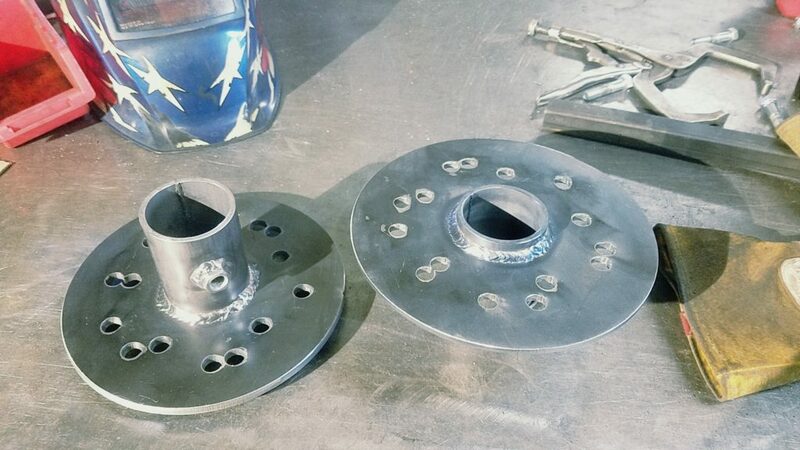 Home > Shop > Universal Olympic Bar Wheel adapters. There are many benefits to using tires on your bar. Some of these include being able to use steel plates on a concrete floor without worry of damaging the floors. 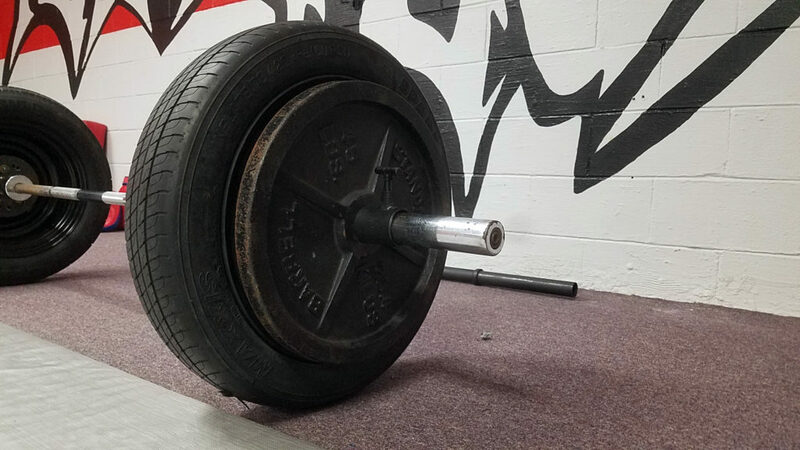 An additional advantage is the ease you can load and unload plates. 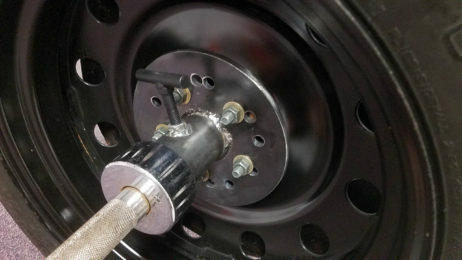 Shown below is an adapter on a 17 inch “Donut” or temporary tire. These can be found at auto salvages lots. Typically lots such as this have an abundance of these tires and they can be had for around $50 for the set. With the set up shown below the bar height is 12 inches. These adapters can also be used for larger tires to add weight or bar height. 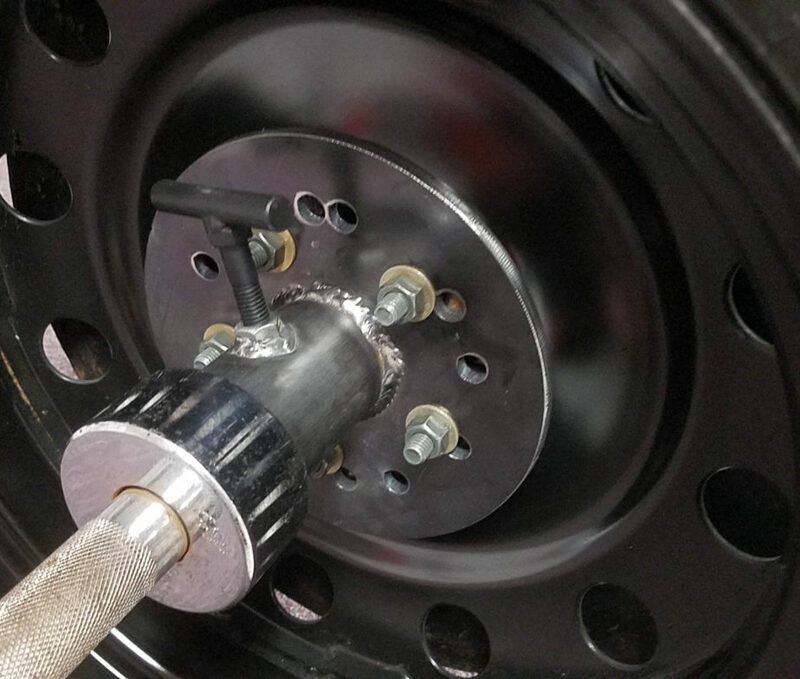 Each hub is rated at 1500lbs. What does it fit and whats included? Each one of these is built in out Mom-N-Pop strength shop located in Cecilia Kentucky. Our family has been very bless to be able to work together in a family bushiness that we all are passionate about. 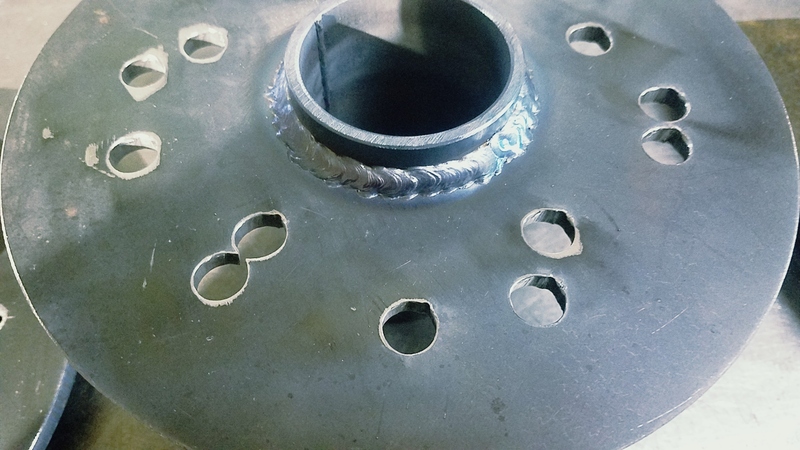 Your adapters will come painted flat black but I enjoy showing you the quality of welds you can expect on your equipment. The best way to do that is by showing items un-painted and freshly finished.